When you have had a previous vehicle with Cruise Control you will be lost without it. 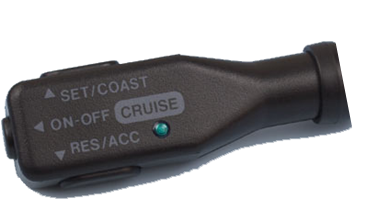 We offer a fully mobile Cruise Control fitting service in Lincolnshire. Our kits are fully E Approved and they are made in Italy and with at least two safety features these are as safe and reliable as factory cruise control. The kits we use read the vehicles data and no solenoids are used. The only part you see is a small cruise control stalk which is mounted on the steering column. The stalk features speed set and up and down acceleration along with 2 memory presets meaning the speeds of 50 mph and 70 mph can be stored in the memory making it easy to maintain speed limits on motorways. The kit comes with a full 1 years warranty and they are fully programmed to work with your exact vehicle perfectly. These are ideal for motor homes and vehicles that travel high mileage meaning you can relax during your drive. The stalk control has a built in LED so you can check its status at any time. Office hours between 9-5 pm Monday – Saturday.